Christmas is coming in a few, and it also signals the coming of the colder weather. How would you stay fashionable and comfortable in your winter outfit? 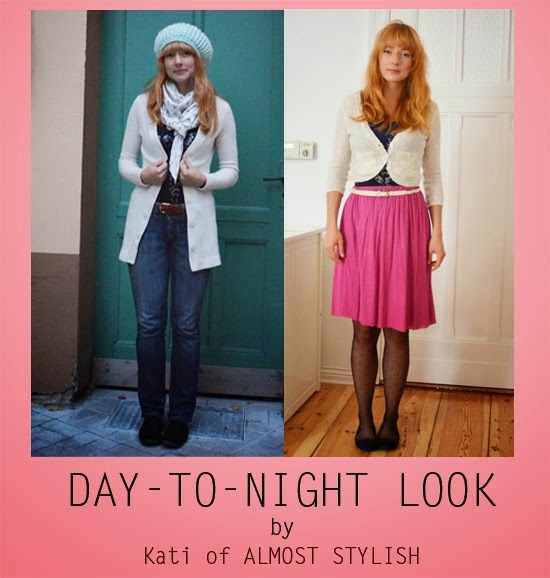 Take inspiration on Kati's casual comfy day-to-night outfit! Kati transformed her day look ot a night appropriate outfit by exchanging her long cardigan to a more structured cover-up, put on a skirt, some tights, and a pair of ballerina flats.Her look is great for a dinner and a movie marathon! Which look you like best?